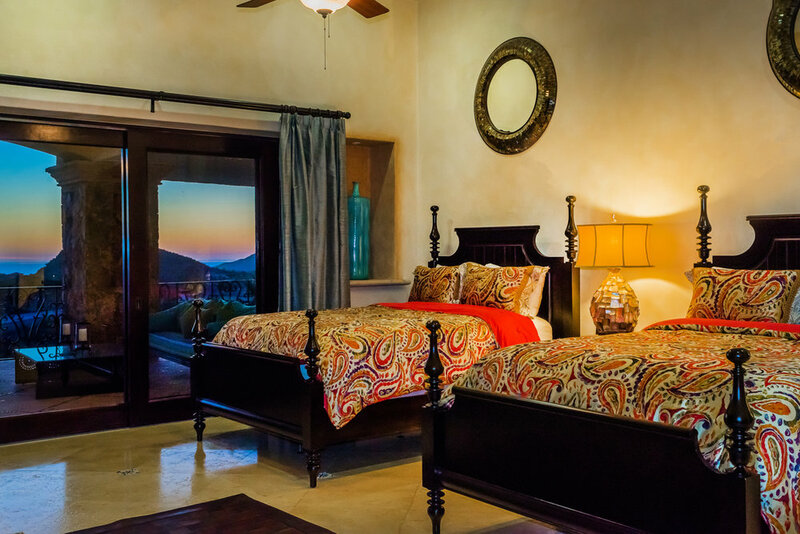 bed 6 · bath 6.5 · SLEEPS 12 · From $3,000 TO $4.000 usD per night + tax. 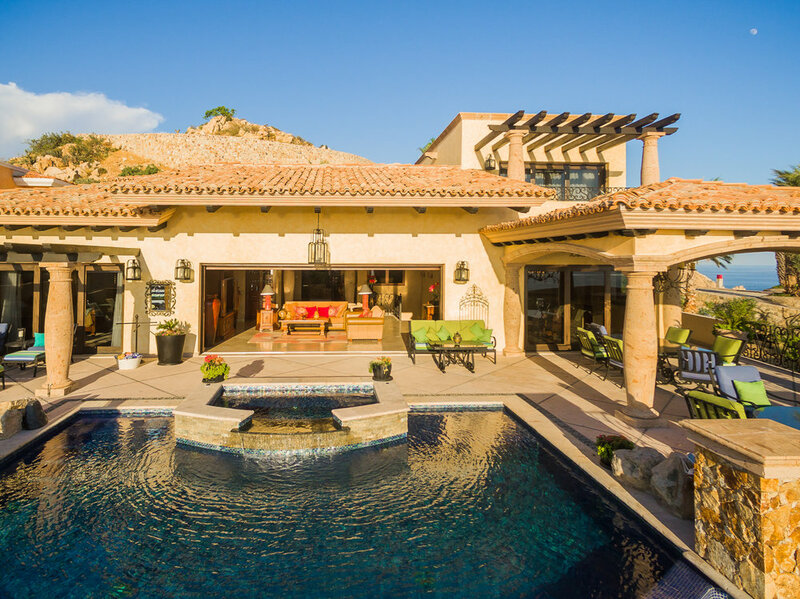 Casa Piedra, a sui generis villa of 8,300 square feet, is one of the premier expressions of the Los Cabos spirit of luxury and leisure. 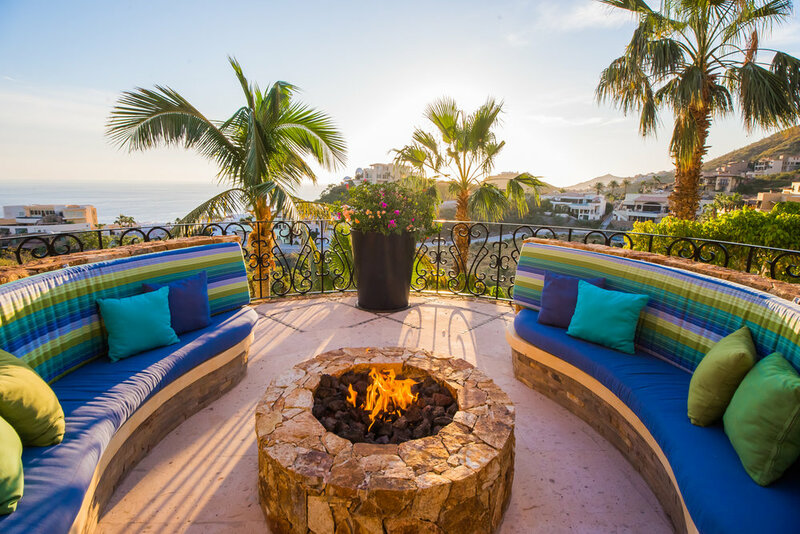 With three floors of indoor and outdoor spaces, this spectacular vacation rental is ideal for families, large groups of friends, or destination wedding guests seeking to relish the tranquil privacy of a palatial home at the southernmost tip of Baja California. With design that blends the finest of Mexico's colonial, modernist, and traditional styles, Casa Piedra incarnates the region's unique charm. 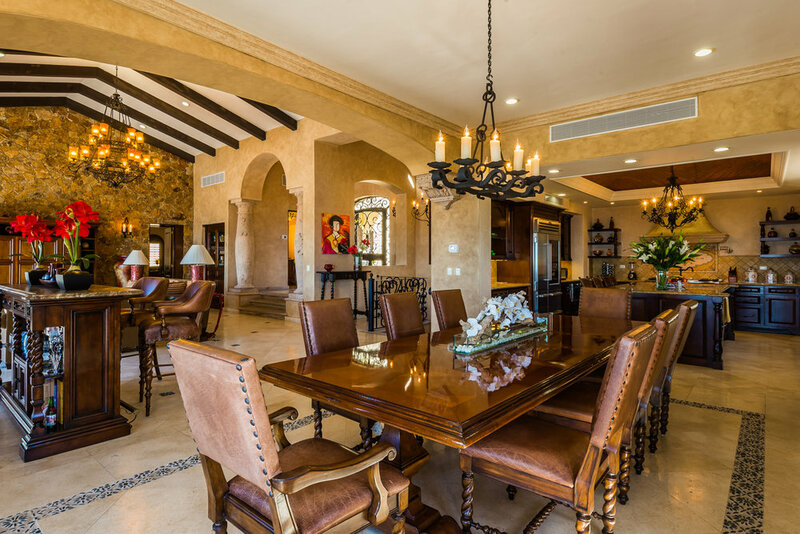 The villa is built into the hillside overlooking the Sea of Cortez, with terraces on all three levels offering spectacular ocean views. The top (main) level of the villa includes an ample outdoor lounge area surrounding an infinite swimming pool and raised hot tub, as well as an alfresco dining area beneath stone arcades, wooden beams, and a wrought iron chandelier. The fire pit lounge is ideal for sipping cocktails in the cool breeze of night. Fine lighting keeps the terrace luminous from dusk till dawn. Vast doors open into the open-plan interior where, under vaulted wooden beams, the living room features a gorgeous stone facade and large TV. 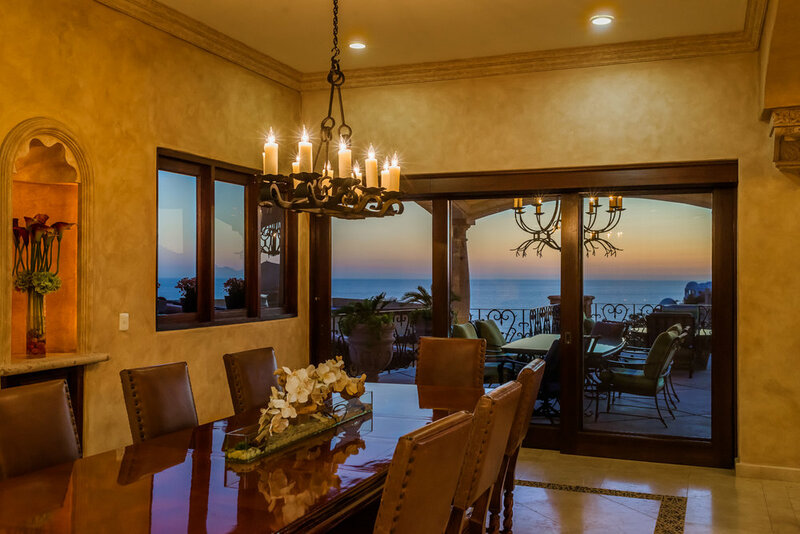 Next to the living area, the wet bar is perfect for mixing drinks, while the dining table seats ten for ocean-view meals. 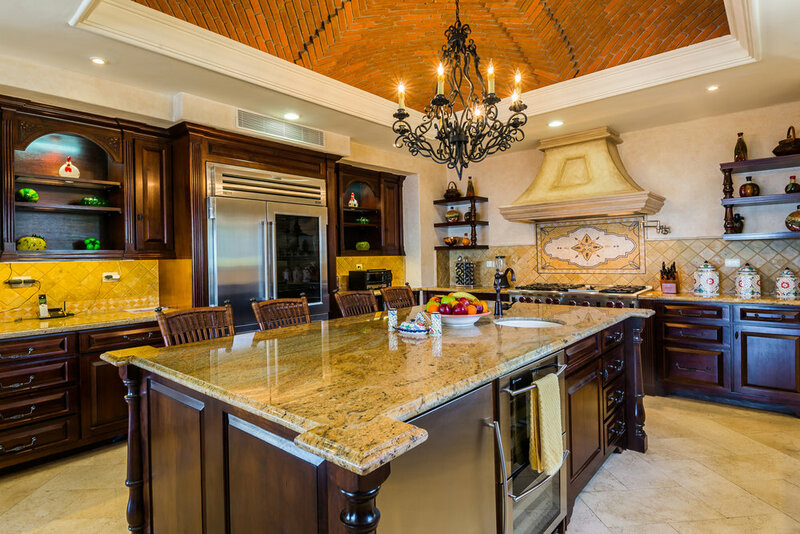 The beautiful kitchen includes chef-grade appliances and a breakfast bar for four beneath a splendid vaulted ceiling of exposed red brick. 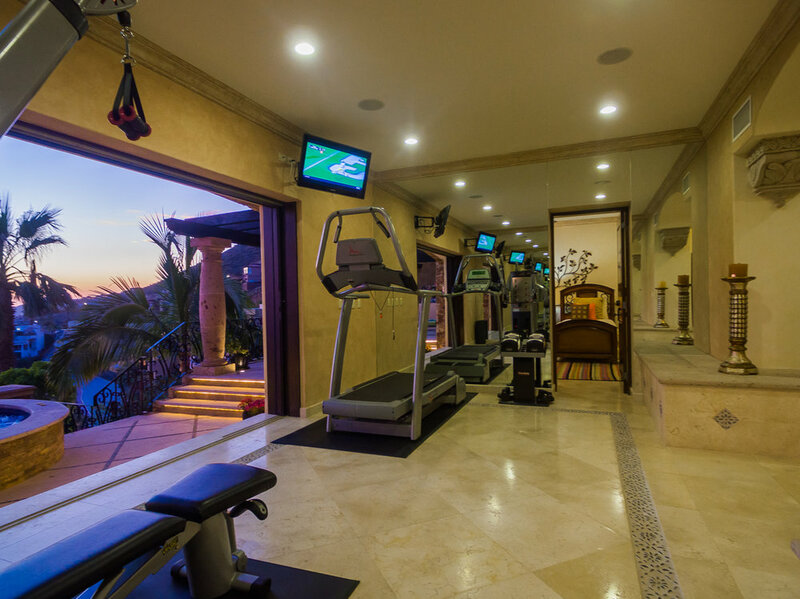 Within the self-contained paradise of Los Cabos, Casa Piedra is particularly well positioned for enjoying the whole spectrum of leisure. 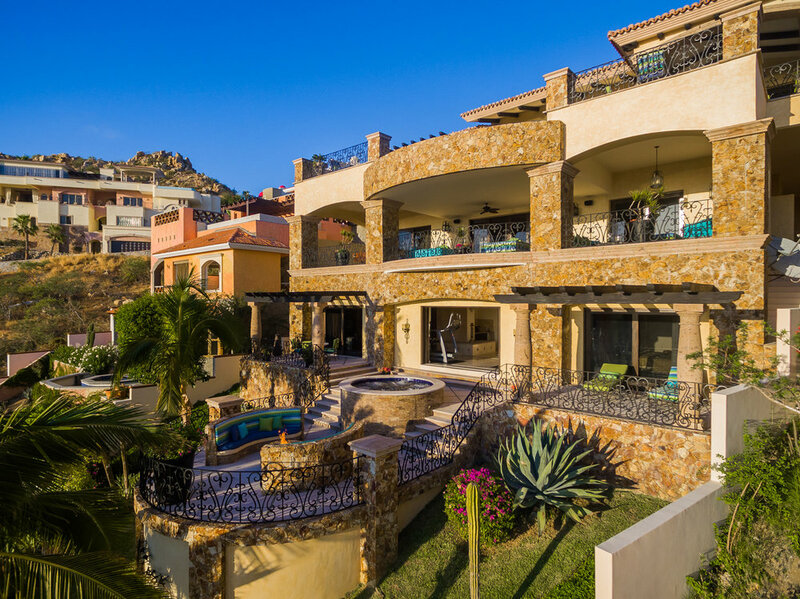 You're just a short drive from the Resort at Pedregal Beach and the famous Medano Beach, from Cabo del Sol Golf Course, and from the vibrant nightlife of Cabo San Lucas. "World-class boating, fishing, eco-adventures, luxury and style all at your fingertips".